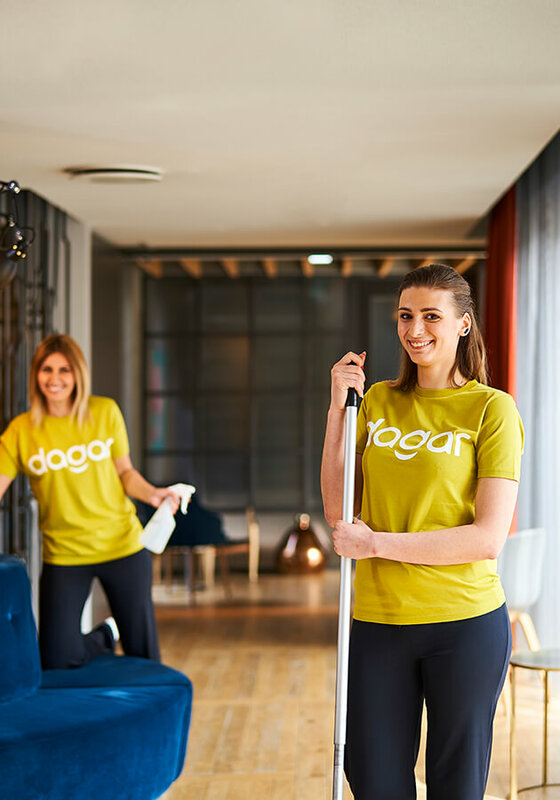 Dagar employees assist with all the countless tasks that are part of the day-to-day operations of companies so that managers can focus on their core business. We are experts in making your day easier. It is important to make a good impression. One of the first things we notice when entering the building of a company or organisation is the appearance. We provide a balanced diet suitable for all. Good and nutritious food is a basic necessity in order to be successful in work and play. Our supervision helps maintain the value of the property. Regular maintenance of properties and their environment ensures that they retain their value. Please note that the menu is subject to change without prior notice. The golden smile is recognition that we give our employees to thank them for their outstanding jobs. We do this in co-operation with our customers, who thus have an enjoyable opportunity to deliver their compliments to employees. Customer involvement involves pointing out good work, evaluating the service and how it is provided, as well as putting employees forward for recognition. We know that positive feedback increases trust and independence in work, which leads to increased job satisfaction and good communication. Do you want to work with an integrated group in a trusted and family friendly company?